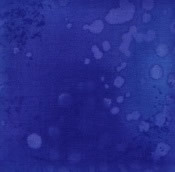 When viewing the image above, there are 21 subtle steps (or values) of each color from left to right. 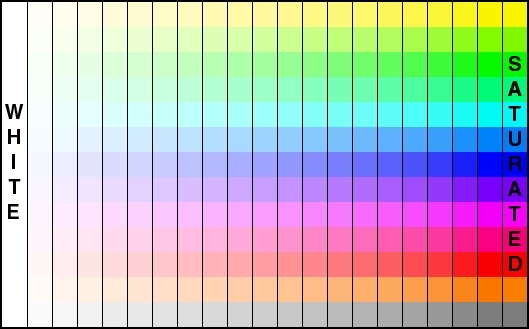 The saturated colors on the left are the 12 colors around the colorwheel exactly 30 degrees apart with a matching grey scale at the very bottom. If your monitor is properly calibrated you will see distinct steps between all 21 steps of each color strip and the steps will be uniform in appearance. If you need help with your monitors and calibration first consult the owners manual for the monitor. Windows has calibration help Start/Settings/Control Panel/Display. Your image editing software may also have calibration help files. When viewing the image above, there are 21 subtle steps (or values) of each color from left to right. The saturated colors on the right are the 12 colors around the colorwheel exactly 30 degrees apart with a matching grey scale at the very bottom. 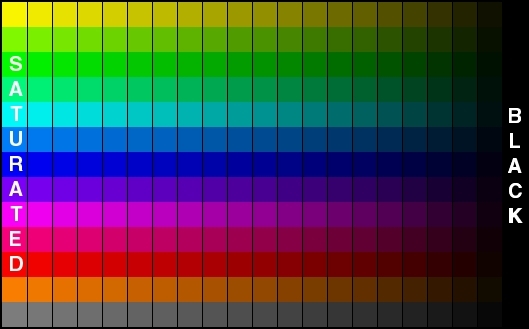 If your monitor is properly calibrated you will see distinct steps between most of the 21 steps of each color strip and the steps will be uniform in appearance. Most monitors do not display the lightest end of the scale accurately so the last 2-3 lightest steps may look the same. If you need help with your monitors and calibration first consult the owners manual for the monitor. Windows has calibration help Start/Settings/Control Panel/Display. Your image editing software may also have calibration help files.